Jump Force takes manga characters across different brands and drops them all into real-world locations like New York, San Francisco, and Hong Kong, but English voices won’t be a part of the formula with there being no plans to give the game an English dub. Speaking to Bandai Namco about the English dub situation, AltChar asked whether or not it would be possible for players to hear the characters’ voices in English instead of Japanese. 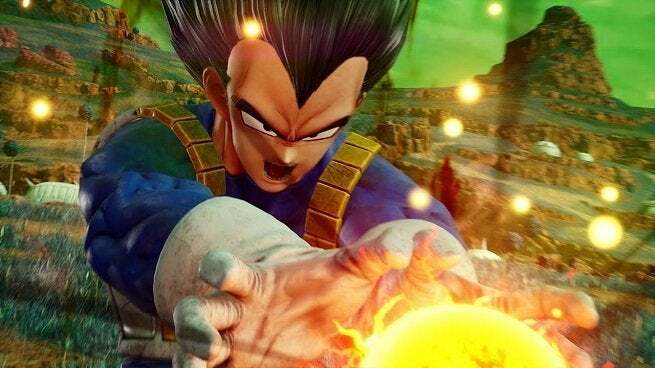 Bandai Namco responded to say Jump Force would not feature an English dub option, though there will be subtitles that support several languages. Bandai Namco’s games in the past have sometimes had options to select either English or Japanese voices for the games’ characters, so it wasn’t unreasonable of anyone to think this game might follow the same route. Dragon Ball FighterZ, for example, had a setting where players could switch between hearing either the English or Japanese voices. That game only featured characters from the Dragon Ball universe though, so voice acting and licensing issues for different characters likely wasn’t nearly as much of an issue as it would’ve been for Jump Force seeing how Bandai Namco’s upcoming games features characters from all kinds of manga and anime like Naruto, Dragon Ball Super, One Piece, and others. Many players often elect to use the Japanese voices in these types of games anyway be it for authenticity or because they simply think the voices sound better. Jump Force’s first trailer that Bandai Namco revealed months ago at E3 also featured narration from an English voice who explained what was going on in the video with plenty of dramatics, so there was the chance early onlookers could’ve expected English voices in some capacity. Every other trailer that’s been released for the game and featured the actual in-game characters talking used Japanese voices for the fighters though, so the expectations for alternate dubs of any kind have been dwindling as each trailer came out. One of the most recent trailers to be revealed was the one featuring a clash between several characters from the Dragon Ball universe including SSGSS Goku and Vegeta and Golden Frieza. New characters have continually been revealed for Jump Force with some of the most recent ones being fighters from Fist of the North Star and City Hunter. Both of those characters were unveiled in a trailer from late October that also happened to reveal the game’s release date. Jump Force and its many manga fighters is scheduled to be released on February 15th.